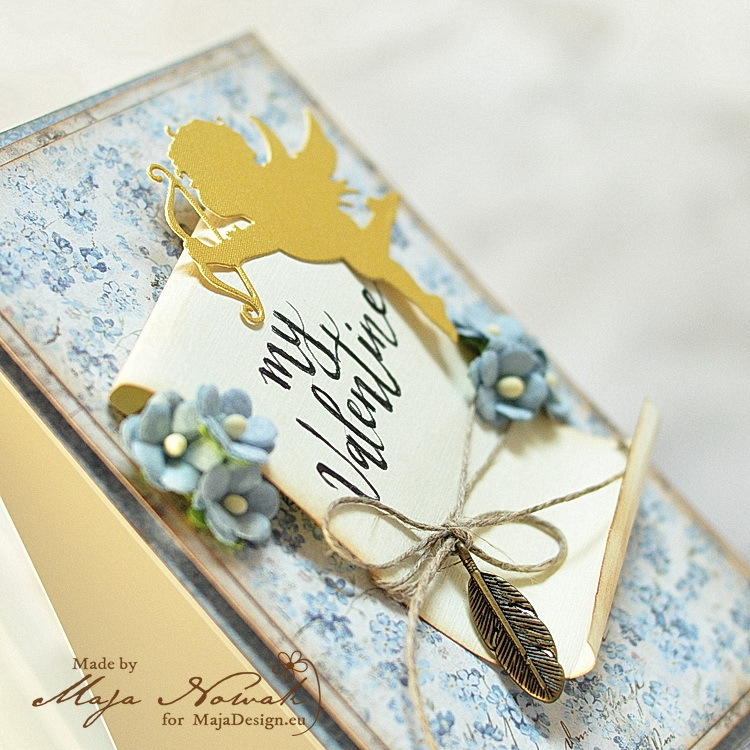 Welcome and a very happy Valentine’s Day to you wherever you live in the world. 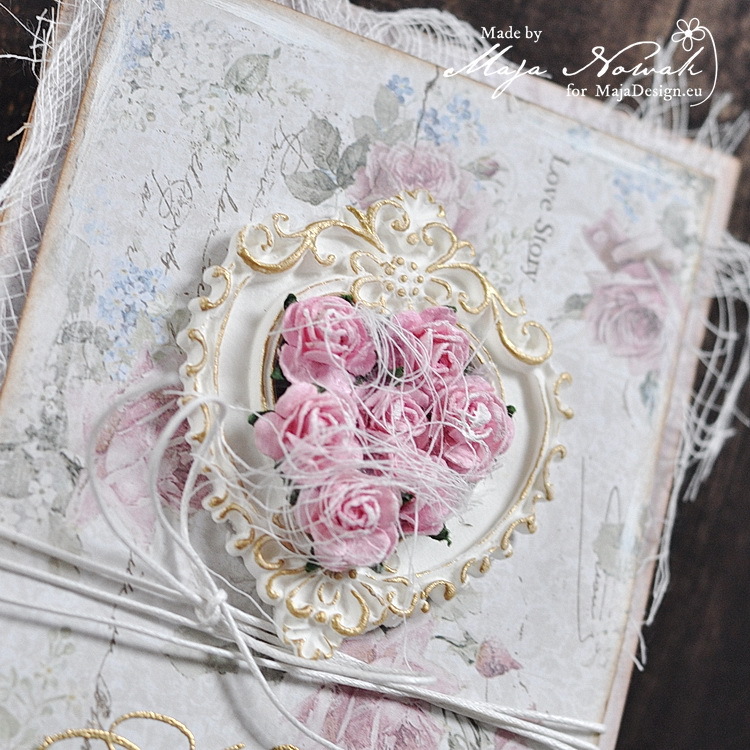 May your day be filled with love, flowers and chocolate, lots and lots of chocolate………..! For my scrapbook layout project here today I kept everything very clean indeed. 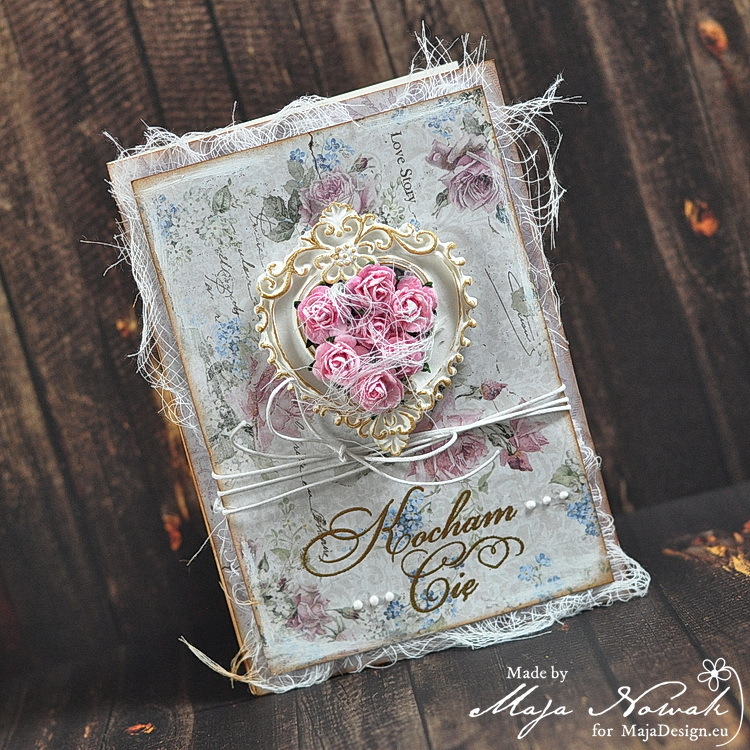 I did a simple stamped border with embossing powders. 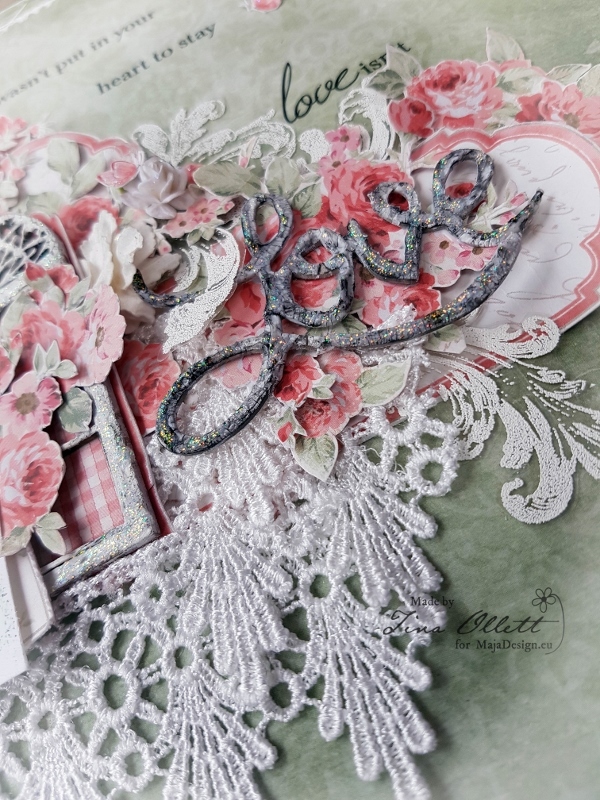 Again as always I have added in some fussy cut elements from the Summertime (In the Garden) – Smell the roses patterned paper. I had the photo printed of twice in two differing sizes and then layered them one on top of the other. I framed one photo with the Summertime (In the Garden) Die Cut frames. The centre was cut from this and then used behind the back of my chipboard window. So cute!! 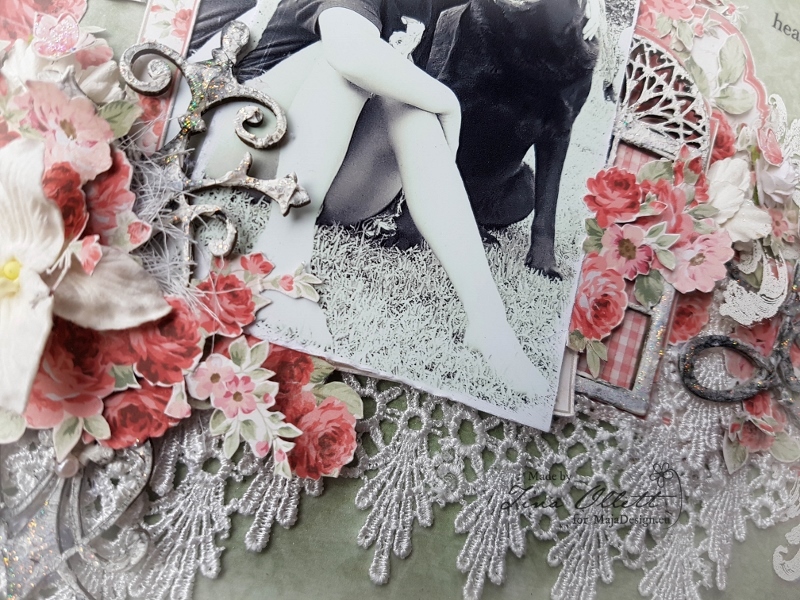 I have added in some gorgeous lace that has been cut up and layered sometimes 4 times over itself. 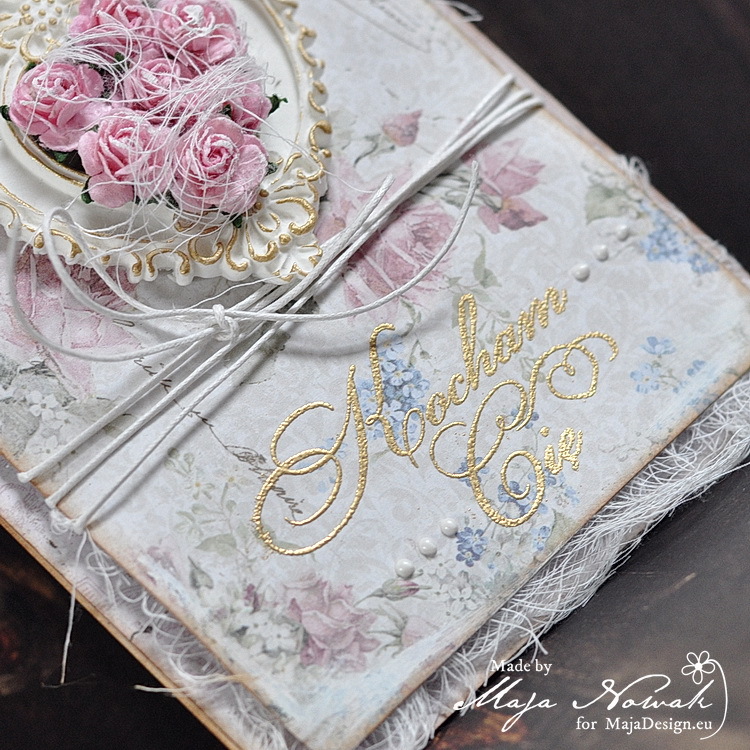 Some of the lace was left a little distressed to keep with a shabby feel. 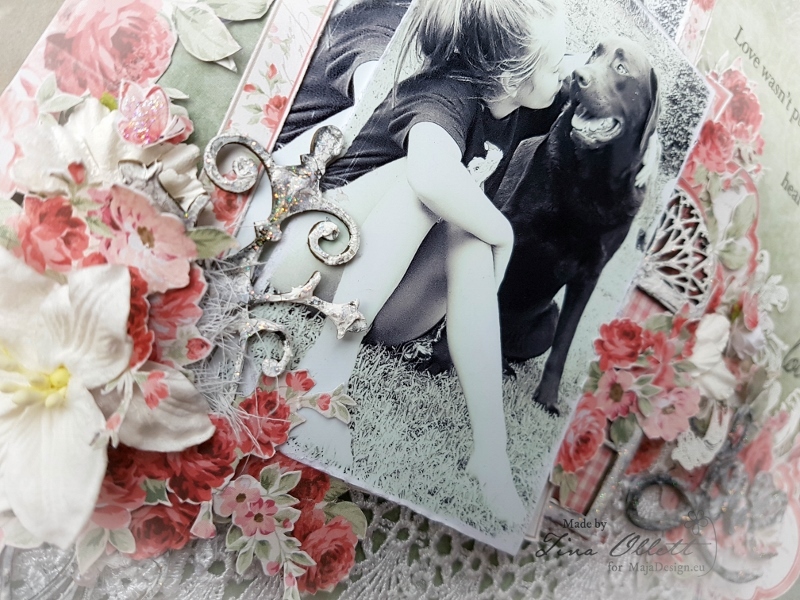 I have used lots of yummy Dusty Attic chipboards for this project. They were simply covered with Crackle Paste and coloured with China Black H2O’s, and a little distress crackle and some Star Dust Stickles. 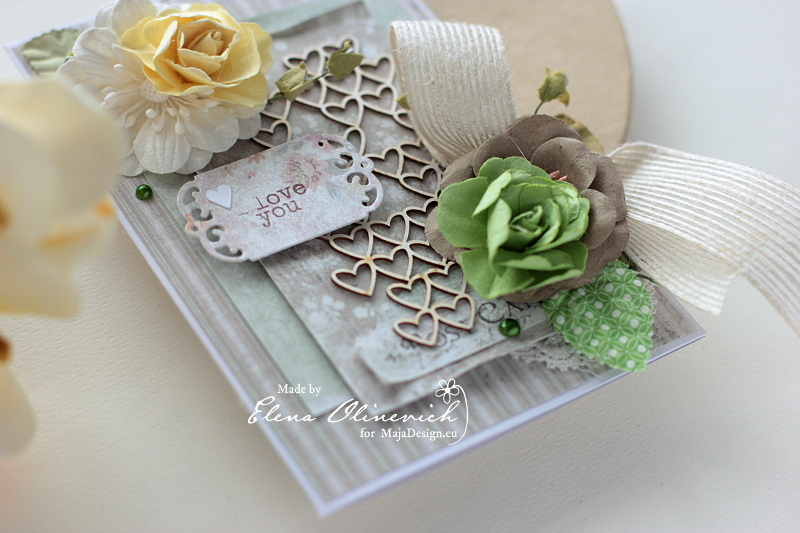 I used a Sizzix Die-Cut for my title “Love”. 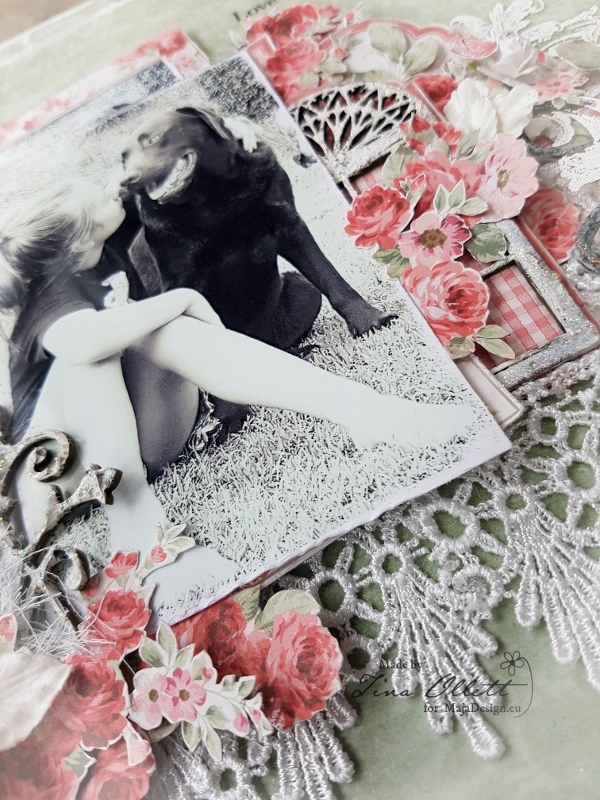 I layered it up a couple of times and dressed similarly to the other chipboards but I left it a little darker so it could stand out on the page. 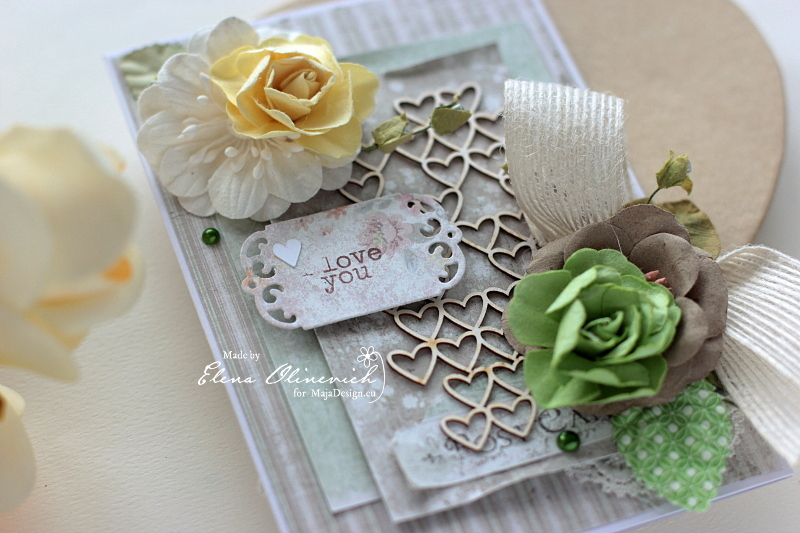 I also added in some handmade accetates to add to the layout another layer. Well that is all from me today. I hope you have enjoyed your time here. Stay tuned there will be more again tomorrow. Until then happy scrapping. 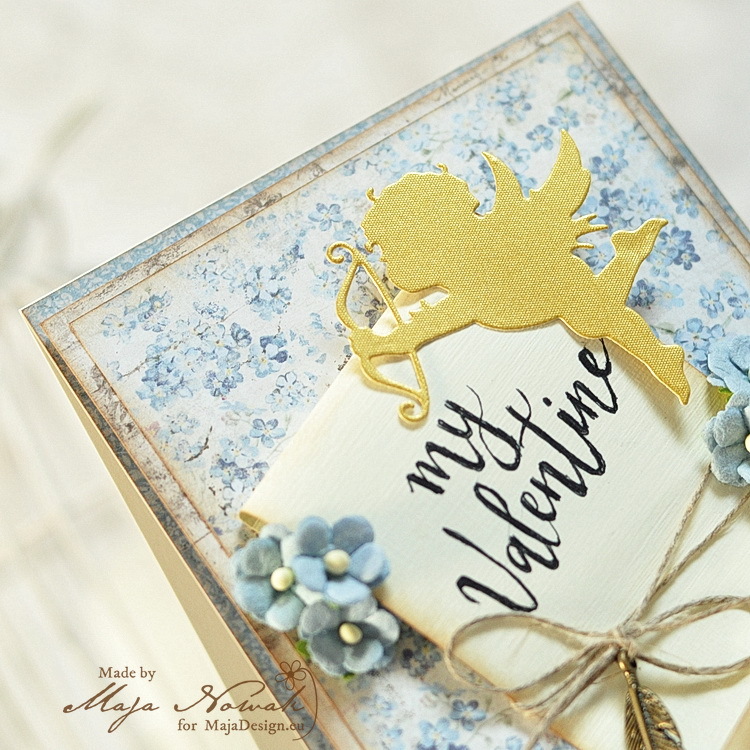 What would be a better collection to use for love-themed cards than Vintage Romance, of course! And so I made a masculine and feminine card for Valentines. 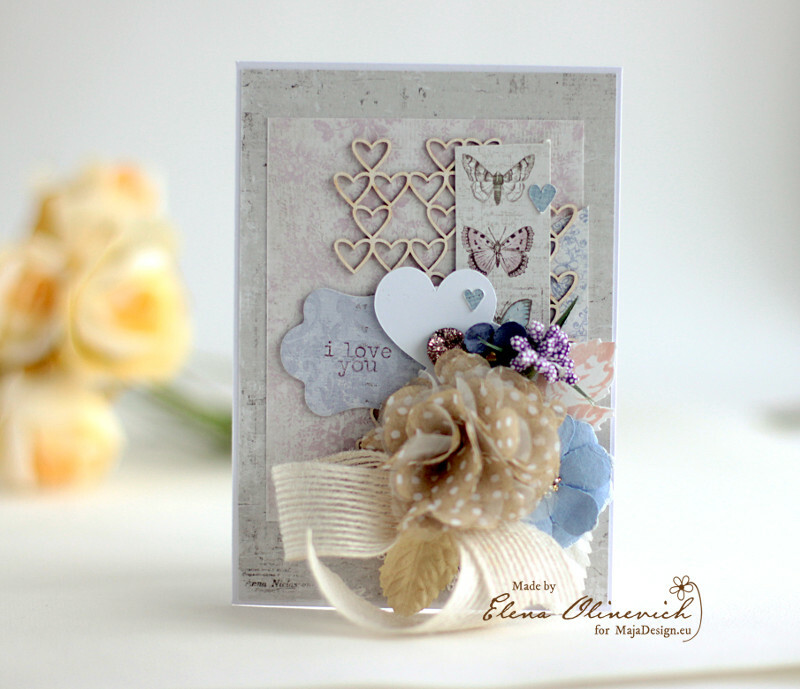 For the feminine card I went for the shabby chic style. 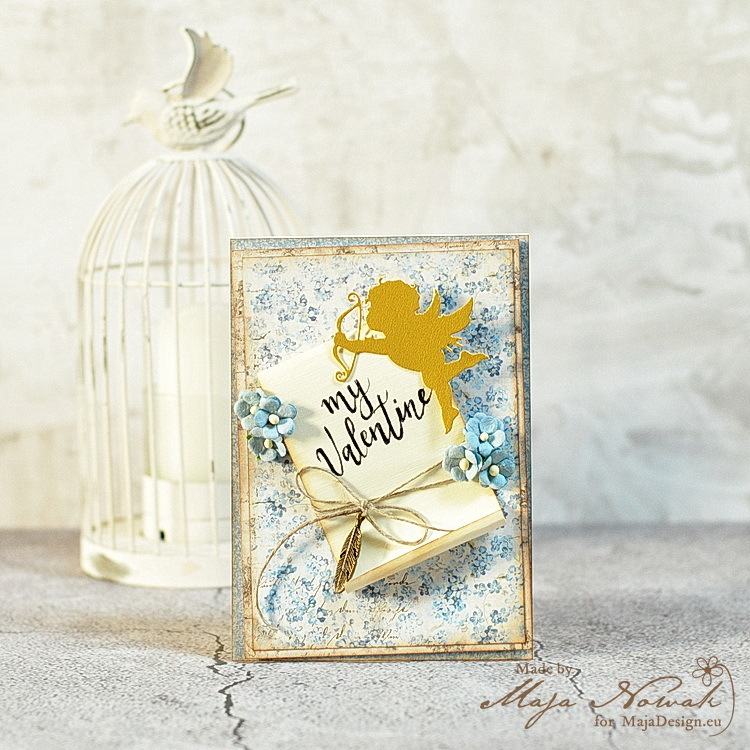 I really like the way the cards turned out – the Vintage Romance collection is just perfect for love projects! 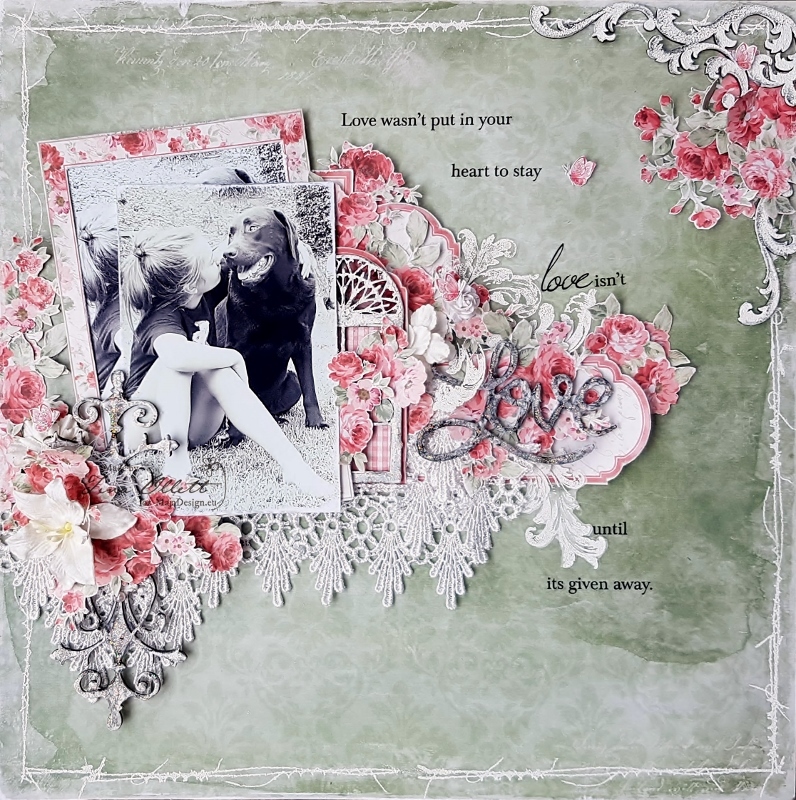 Other: dies: Impression Obsession; flowers: Wild Orchid Crafts; frame: Martha Stewart clay & paint; mold: my stash; stamp: Lemonade. The Spring is not here though I am impassonately waiting for it. Christmas is over, so there is no need in winter for me. Actually Valentine’s Day is the day that is going to brighten or winter season days. So I made a couple of I love you cards. 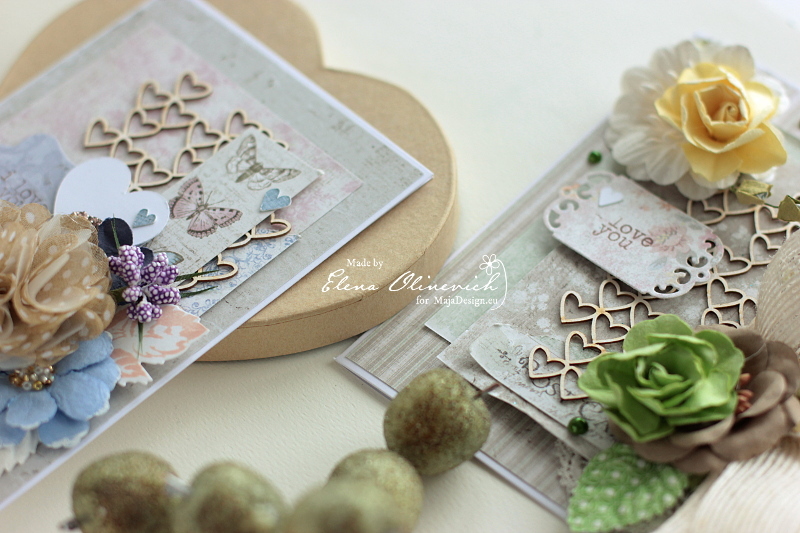 Vintage Spring Basics is quite a wide to choose, however I have noticed that I am using almost the same papers when it cmes to create with it. This color combo of phistachino and the cafe au lait is one of my all time favorite. 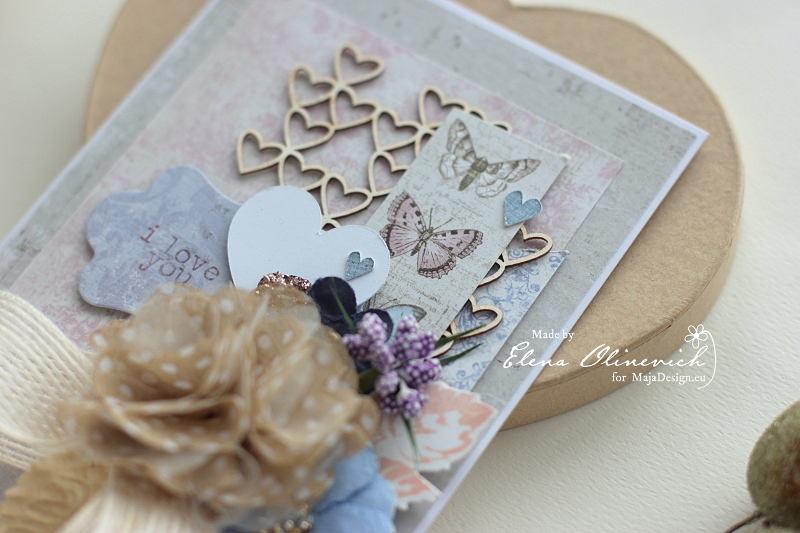 It seems that I have made a tons of cards with these particular papers, but I still love them. 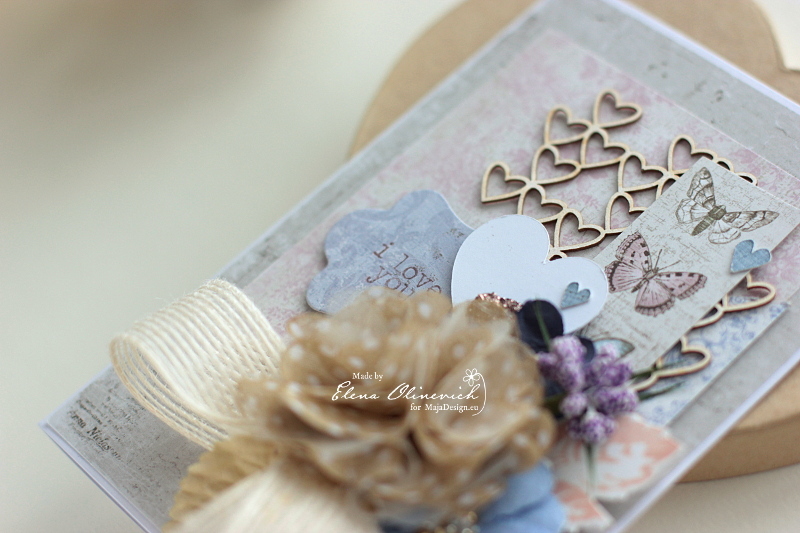 I added the hearts chipboard pannel and arranges some paper layers. 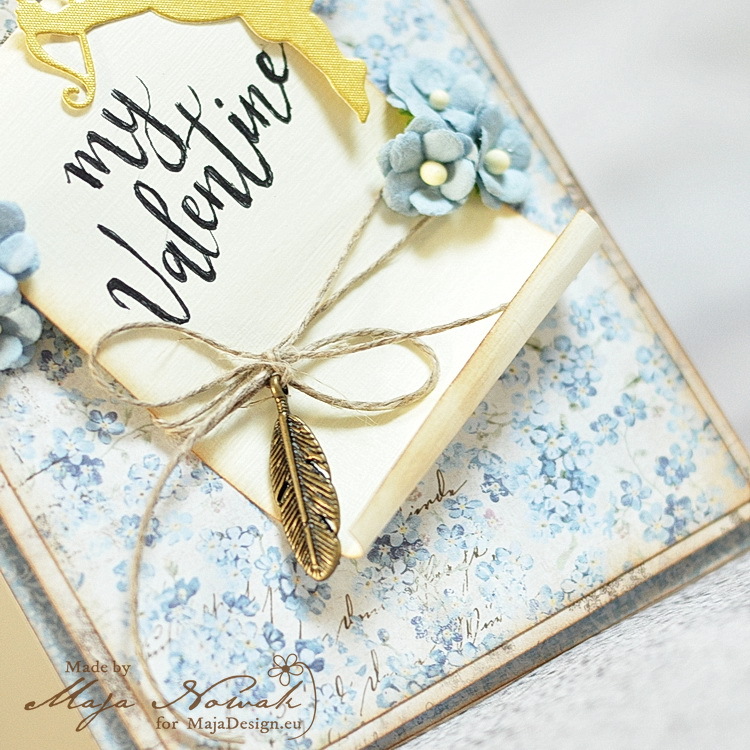 I used a simple stamped quote – I love directly on the die cut piece of paper, found in my paper scraps and leftovers file. 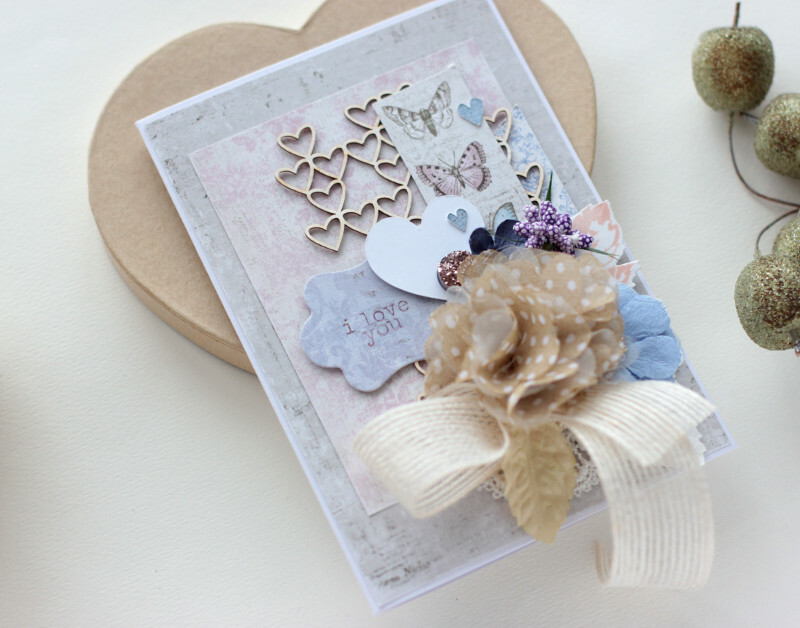 The same chipboard I used for my second card. But this time I used absolutely different colors for the card. 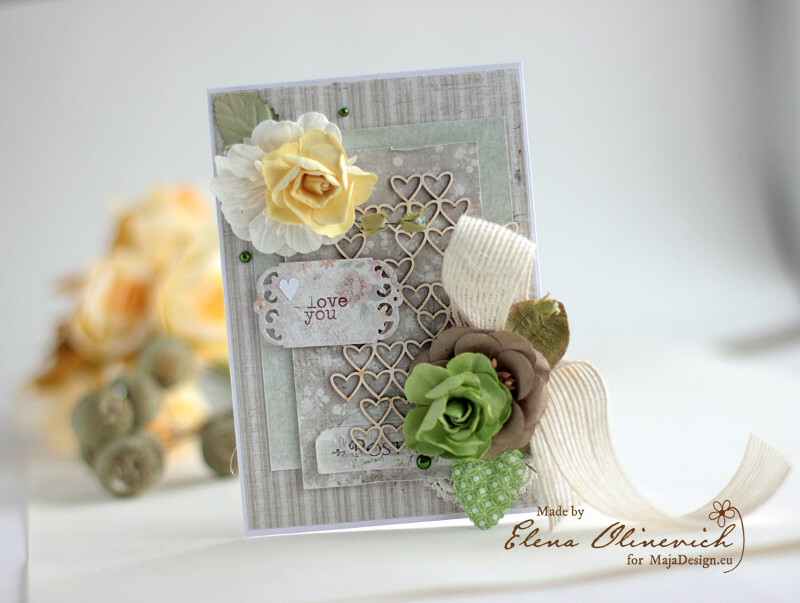 The idea for these cards was to use a llong ribbon with a bow. It looks more attractive when it doesn’t stand out.